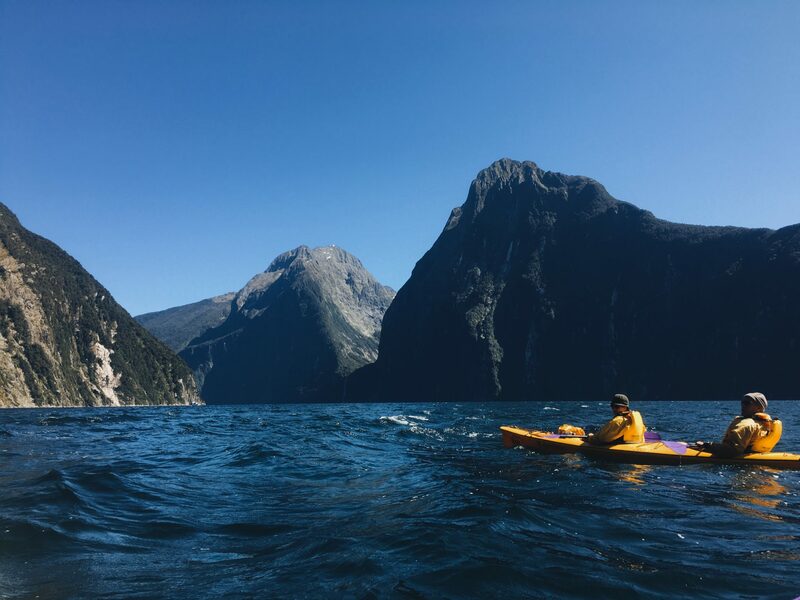 Milford Sound is one of the must-see places in New Zealand, according to anyone who has ever heard of New Zealand. After coming off the Routeburn Track, I hopped on a bus to Milford Sound. The standard sound exploration is via boat cruise. I wanted something different; I wanted to work for my experience, so I booked a trip with Rosco’s Milford Kayaks for the Stirling Sunriser trip. I was going to kayak under a waterfall!